Everything in the Universe is a form of energy and has a vibrational frequency. This includes everything you can see, hear, taste, touch and smell. Every tree, every rock, chair, sun beam, every animal, bird and insect. Everything is vibrating at a certain vibrational intensity. Light, for instance, vibrates at a very high frequency and a rock vibrates at a much lower frequency. As humans we vibrate at different frequencies. Our thoughts and feelings determine the frequency at which we vibrate. We radiate this vibrational energy out into the world and in turn we attract similar energy back to us. We can have great influence around the events, circumstances and relationships we attract to ourselves by raising our vibration. We are all mirrors for each other, providing ourselves with glimpses into the many choices we have in our own lives. We’ve all met people that seem to “shine”, who are “vibrant” who are people it feels good to be around and leaves us feeling uplifted and empowered. These people are vibrating at a high frequency and can inspire us as we evolve through life. They show us aspects of ourselves that we may not have fully embraced, yet. On the other hand we all know people who are cynical and negative and not very comfortable to be around. These are people can help us to see these aspects within ourselves and show us how we don’t want to be vibrating and why. Most of us vibrate somewhere in between these two types of people and are a work in progress as we strive for those higher vibrational levels. There are many ways to raise your frequency. A consistent spiritual practice raise our lives vibrations. Spending time every day, even if only for a few minutes, to consciously choose where to focus your energy can make a big difference. When we focus on the positive aspects and can feel appreciation and gratitude for the abundance in our lives it shifts our frequency and sets the stage for our day and sleep time. Meditation can change our life when we make the commitment to do it on a regular basis. There are many ways to meditate. It can be done with your eyes closed and going within, or can be done while we are moving about in our day. The left brain, “the monkey mind” is busy roaming about most of the time, thinking about the past or worrying about or contemplating the future but when we can be present…in this moment now…even for brief periods of time, we can train the mind to focus and choose the types of thoughts we want knowing that they will help us to increase our own vibrational consistency. Sometimes raising our vibration can be more challenging and we become stuck in repeating patterns of negativity, anxiety, anger, addiction, fear, dysfunctional relationships and physical dis-ease. These repeating patterns are not good or bad, right or wrong. In fact, they are a wonderful communication from Soul letting us know there is something here that needs to be looked into deeper so that it can be released and healed. When we understand these experiences they can be changed. Many of us need assistance from time to time to shift the repeating patterns in our lives. Past Life Soul Regression can help us get back to the root cause of these issues and give us the opportunity to begin unraveling these negative energy patterns quickly, safely, affordably while raising our vibrational frequency. 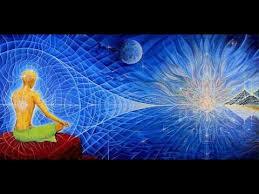 Once we are on a solid spiritual path and are ready for rapid advancement, the Between Lives Soul Regression can be a catalyst for moving us into even higher frequencies. This session is where we can get the answers to those really big questions like who am I, where did I come from, where am I going when I leave here, who are my guides and teachers, who are the members of my soul family, who are my soulmates, what are the contracts I agreed to this time around and what is my purpose work. The Between Lives session can assist us to re-remember who we really are on a much broader prospective and enable us to begin living our daily lives with higher vibration more consistently. It is a great pleasure and honor to be able to facilitate this sacred work for others. Kristine will be in Denver all of April and May working with clients. April appointments are nearly full and May is filling fast so don’t wait to schedule. With over 40 years in the healing arts including more than 13 years in Regression Therapy, Kristine Morton of the Harmony Healing Center is one of the most experienced Regression Therapists that Denver and Colorado has to offer. Give her a call at 303-960-5970 or email her at kristine@harmonysoulregression.com to get started on your healing process today. If you haven’t yet checked out the web site, www.harmonysoulregression.com, please do. You’ll find an assortment of articles that Kristine and others have written over the years relating to Past Life and Between Lives Soul Regression Therapy. There are answers to frequently asked questions about Hypnotherapy as well as a free self hypnosis audio. There’s also information about Spiritual Coaching and a radio interview where a lot of great questions get answered. If you like what you see, or hear, please visit and like the Harmony Healing Center Facebook page. It would be much appreciated. Click Here to download your FREE Self-Hypnosis Audio! To use your Relaxation Audio find a quiet place to sit or lie down. Take the phone “off the hook”. Start the audio and simply listen until the audio has finished. It may be useful to keep a journal or notebook close by and write down anything that comes to you while you listen to the audio. This entry was posted on February 7, 2019 at 4:07 pm. You can follow any responses to this entry through the RSS 2.0 feed. Both comments and pings are currently closed.